Christmas is truly a time that is special for those who daydream about magical adventures, and The Land of the Sugar Plum Fairy is as dreamy and adventuresome a scenario as one could ever wish for! Since 1978, BalletMet has brought their localized and incredible flavor of dance to those who appreciate art in Central Ohio. Situated right downtown, BalletMet has an awesome black box theater performance space, seven dance studios, and scene shops that create some of the most dazzling performances in the nation. BalletMet has nearly 125,0000 audience members collectively with shows on the road, academy classes, and a very extensive outreach. 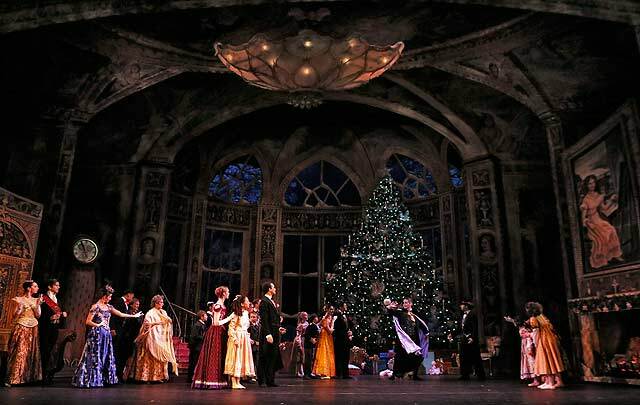 The re-staging of some of the best masterworks ever penned are always anticipated, and this time of year they probably could not have picked a better show. 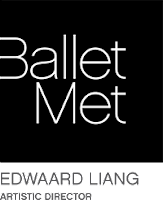 BalletMet has long been an anchor for creative types in the community, and a place that folks come to for free open rehearsals along with the potential to get scholarships and broaden their artistic futures. This tale of wild imagination is one of the most fitting for those filled with the holiday spirit, and has been a tradition right here in Columbus since 1974. Choreographed by director Gerard Charles, this is a presentation that has won over scores of audiences with a jaw-dropping set, elegant costumes, and throwbacks to holidays of yesteryear. The show will be running from Dec. 9-24, and will be the perfect opportunity for your whole family to revisit this classic show performed by a standout cast. 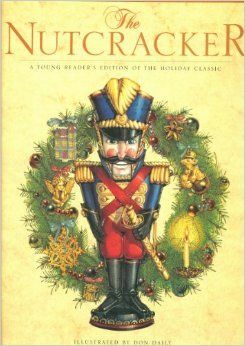 The plot begins when Clara Stahlbaum's grandfather gives her a nutcracker at a Christmas party, and the magic of a deep imagination is delved into with a fervor. 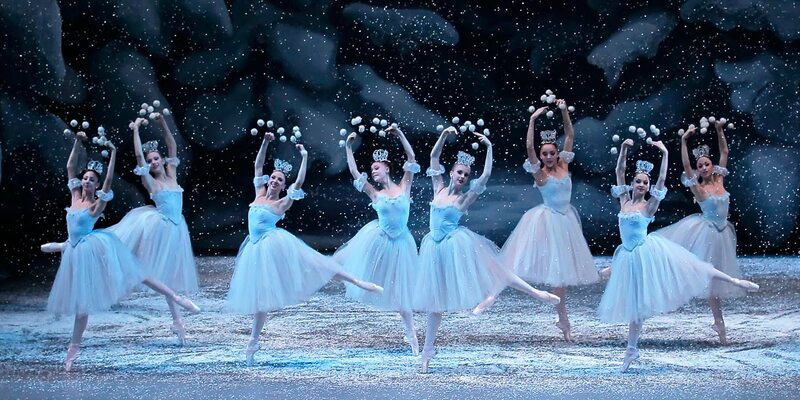 This two-act ballet was not originally a success, but has enjoyed a global resurgence of popularity since the 1960's. Clara immediately takes a liking to the rather lifelike gift she has been given, and quickly finds herself involved in a battle between mice and the gingerbread soldiers who are led fearlessly by their king. 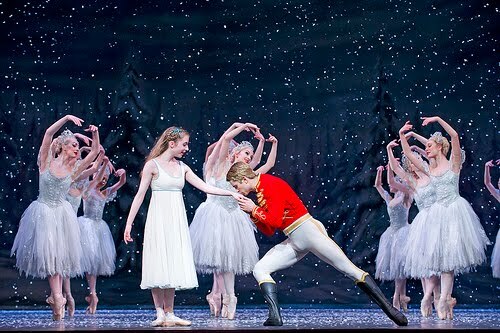 After the mice retreat momentarily, the nutcracker is transformed into a very handsome prince, and Clara is led to a beautiful pine forest, in which the snowflakes dance around them. Soon after this, the two travel to the Land Of Sweets, which is ruled by the Sugar Plum Fairy. A large celebration of sweets that originate from all over the world takes place, and this is the favorite act for many theater connoisseurs. Here the viewers can enjoy the Danish shepherdesses performing on their flutes, and the illustrious Pollichinelles emerging from under a large hoop skirt to dance in synchronicity with a strand of beautiful flowers. 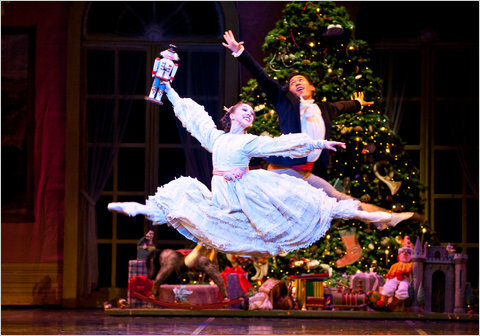 A final waltz is then performed by all of the various candies featured in the story, and a sleigh drawn by reindeer takes off hauling the heroine and prince. 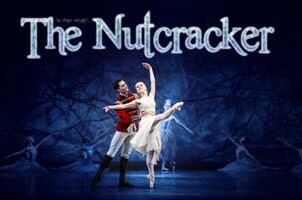 This is a presentation full of animated and adorable characters: Clara's brother Fritz is a young boy who is always gravitating towards the most mischievous of activities, who at one point breaks the nutcracker. 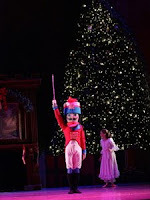 Clara's godfather Herr Drosselmeyer is the one who gives Clara the nutcracker, and the Nutcracker Prince is truly the leader of this enchanting journey. The numbers are given in the presentation according to the original French and Russian titles of the score, which was crafted over a century ago. The French Horns and flutes are purely amazing in this score, as well as the celesta and trumpets. You will enjoy multi-layered sounds of harps, first and second violins, violas, and double basses from the incredible-sounding romantic period; it is said by some that Tchaikovsky's sister had died shortly before he began composition of this masterpiece. 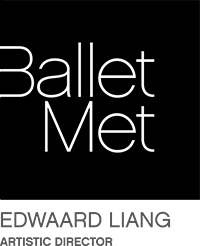 Come out to Ballet Met this month and support an age-old tradition of high end performance, and you'll be amazed at just how well this finely-spun story stands up on the stage.